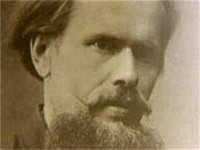 This year two art exhibitions dedicated to 120th anniversary of Belarusian artist Yazep Drazdovich opened up in Minsk. Yazep Drazdovich is one of the founders of Belarusian modern art and one of the initiators of the Cosmos topic in world art. He also was a prominent master of applied arts, a sculptor, a social anthropologist, a folklorist and a writer. One of the first exhibitions is called "The Earth and the Cosmos of Yazep Drazdovich" and runs from the 15th of October till the 14th of December at the House-Museum of the 1st Conference of the RSDWP. There are both classic and little-known paintings, graphic works, woodcarvings and his famous "drawn" tapestries such as "Castle over a Lake. Nocturne", "Castle in Troki" and "Parrot" on display. Drazdovich's favorite cosmic topic is particularly highlighted - "Dark Side of the Moon", "Artificial See. Life on Mars" and "The Cosmos" are among such works. 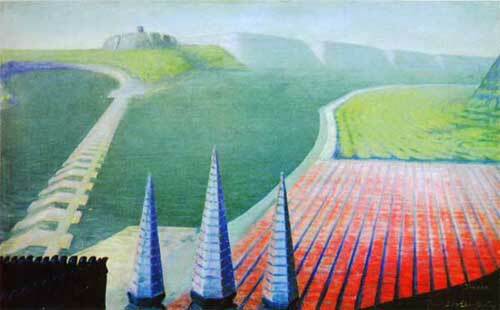 The world of Yazep Drazdovich's paintings and drawings is romantic, surrealistic and unknown. It seems like the artist was trying to immerge himself into different reality, hence mysterious, even carnival motifs of his artworks, either allegorical or depicting some outlandish characters or swinging black and white contours that overflow into fanciful natural landscapes. Another opening of the exhibition is called "Miracles of Tapestry", which is also devoted to his anniversary, took place in the Art Gallery "University of Culture" on the 17th of October. There are around 200 different artworks by 140 contemporary artists on display. They were created using either techniques or conceptual principles of traditional folk "drawn" tapestry. The curator of this exhibition Tatiana Goranskaya mentioned that "this whole event has shown that "drawn" tapestry is still an up-to-date phenomenon". The exhibition is open through November 10, 2008.